Google has Launches their New Project Called Project Loon which will provide internet connectivity to all area where their was No Internet Connection. 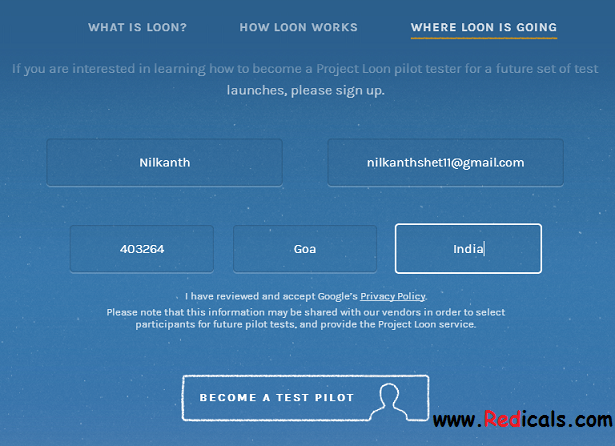 Google wants to test thier Loon Project Globally, So now they have Started Registration you can sign up for Google Loon pilot test in your country. STEP 3 :- Now Enter your Name, Email address, postal code, city and country.